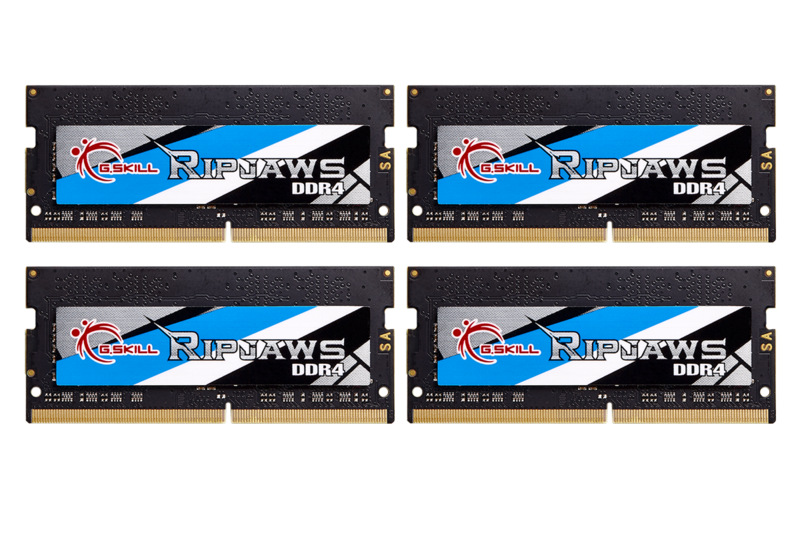 G.Skill has just announced their latest 4000 MHz DDR4 SO-DIMM Ripjaws series memory kit which they are calling the world’s fastest. The memory kit brings in faster clocks and improved timings when compared to G.Skill’s previous SO-DIMM kit for enthusiasts. The Ripjaws SO-DIMM memory is targeting a very select range of Mini-ITX motherboards that offer SO-DIMM memory support. Of all the current generation motherboards based on Intel and AMD chipsets, there are only a few that come with the SO-DIMM memory layout. 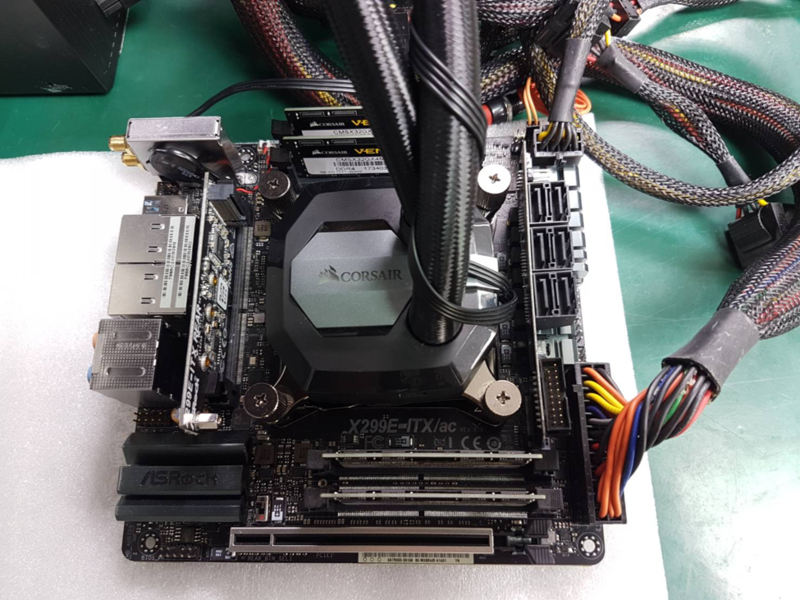 The recently launched Intel X299 motherboard from ASRock, the X299-E ITX/ac is one of them. Featuring support for up to four SO-DIMMs, the motherboard can take full advantage of such high-performance memory when it is paired with a fast Intel Core i9 series processor. Talking about the memory itself, the DDR4 Ripjaws SO-DIMM memory is available in one config as far as specifications are concerned. The memory uses the latest Samsung B-die DDR4 ICs while it maintains a voltage of 1.35V. The 4000 MHz kit maintains CL18 (CL-18-18-18-38) timings and comes in a capacity of 32 GB (4 x 8 GB). 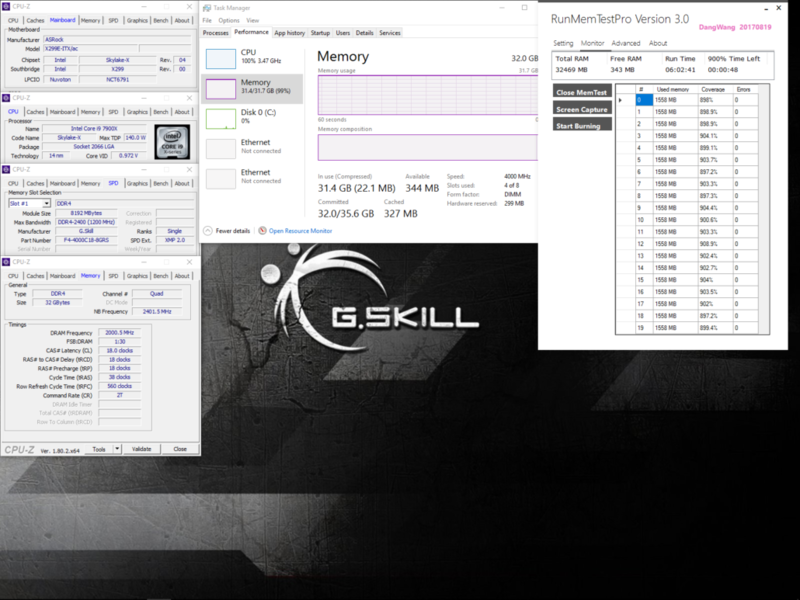 G.Skill has performed some internal tests with the memory kit on the Core i9-7900X processor and ended up with a bandwidth of 101106 MB/s in read which is clearly fast. 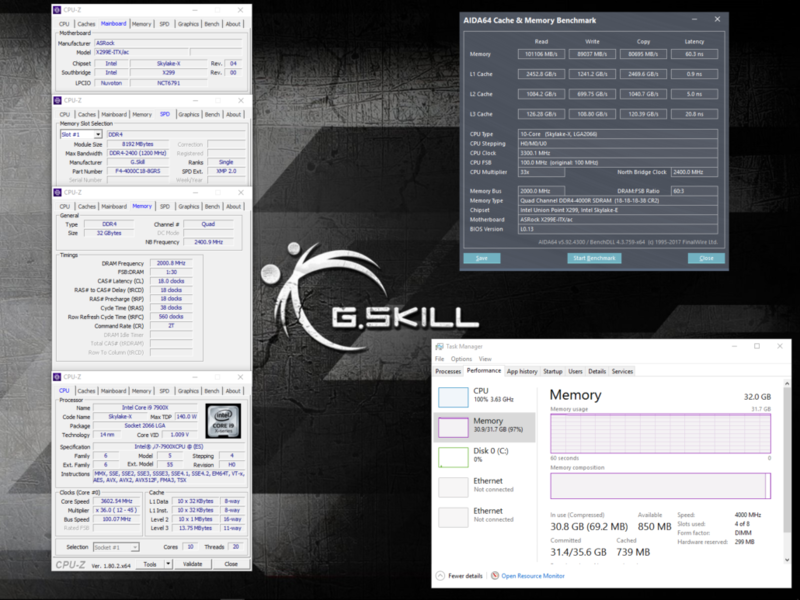 It is clear that G.Skill is engaged with Corsair in a battle when it comes to memory speeds and kit configurations. Corsair recently launched a 4333 MHz 32 GB memory kit in response to which G.Skill announced their own 4400 MHz 32 GB kit. Just a few days ago, Corsair had announced a 4000 MHz SO-DIMM Vengeance series memory kit for $595 US and this launch is a clear response to that. Corsair has also announced their own 32 GB SO-DIMM memory kit which operates at 4000 MHz. The actual thing to note here will be the prices as DRAM is still going real expensive and prices are at an all time high when it comes to PC memory. The situation is looking to clear up in the first quarter of next year and we will get slightly better memory kits with lower prices during the middle of 2018. Taipei, Taiwan (20 December 2017) – G.SKILL International Enterprise Co., Ltd., the world’s leading manufacturer of extreme performance memory and gaming peripherals, is announcing the world’s highest performance DDR4 SO-DIMM memory running at DDR4-4000MHz CL18-18-18-38 32GB (4x8GB) at 1.35V. Combining high frequency and ultra-low timing, this Ripjaws DDR4 SO-DIMM memory kit is capable of achieving the new high level of performance through rigorously hand-binned Samsung B-die DDR4 IC components. 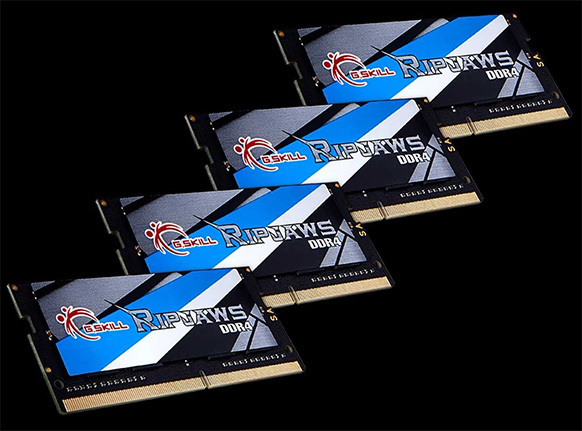 The G.Skill SO-DIMM 4000 MHz Ripjaws memory kit is expected to hit retail in Q1 2018 and we can hope that there will be more boards with the SO-DIMM form factor coming out soon.